The Young Turks is one of YouTube's top online news networks, with more than 1.7 billion lifetime views. Now, it believes it can crack the news formula for Facebook videos, too, thanks to insights derived from its newest show, Final Judgment. 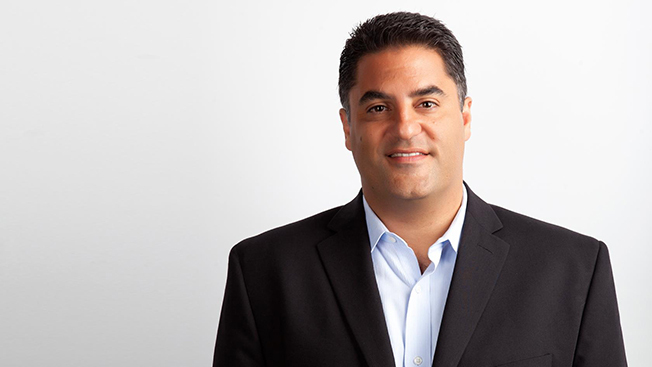 "The video platform on Facebook is exploding," Young Turks creator and host Cenk Uygur said. "We've been doing this for a decade, and outside of YouTube, we haven't been really excited about other [platforms]. We always want to be No. 1 in online video in the news category, and Facebook is a great platform." Many brands have been branching out from YouTube to Facebook and are tapping into the social network's heightened ability to drive engagement. Final Judgment—which features a host's unbridled take on one top headline—appears on both YouTube and Facebook, but Uygur said it was optimized for the latter. Since it debuted in early February, the show gets about 181,750 views per episode on Facebook and reaches about 931,517 viewers overall. Through "subtle variation" in each episode, The Young Turks has been testing what works on the platform. So far, it has discovered shorter segments resonate better with the Facebook crowd, so the show is made up of bite-sized clips, posted weekdays between 8 p.m. and 9 p.m. EST. It may have to do with the fact that the majority of Facebook videos are viewed on mobile; the platform reports that more than 65 percent of its views come from mobile devices. "In Final Judgment, you get a nice, quick blast," Uygur said. "Here's the news. Here's the judgment. Boom, you're done with it. It's easily digestible." The nature of the opinion show also plays into one of the strengths of the platform: its online community. Uygur said The Young Turks has been seeing more comments on its Facebook videos than YouTube videos, which he chalks up to the fact that Facebook has a built-in community. It's something the show hopes to continue to tap into. "It's not like people aren't talking about videos on YouTube, but it's all in your framing and how people find it," he said. "On Facebook, it's your friends, your colleagues and the people you work with who are talking about the video. That's what helps build the buzz."